The Han are China's largest ethnic group, whose members have migrated in large numbers to Xinjiang in recent decades. A clash in Xinjiang, home to China's mostly Muslim Uighur minority, left nearly 100 people dead or wounded, an exile group said on Wednesday after what authorities called a "terror attack" on a police station and township. Dozens of civilians and assailants were killed and injured in the attack by a gang armed with knives and axes, Chinese state media reported late on Tuesday. 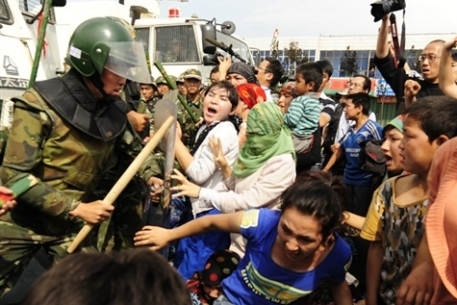 "Police officers at the scene shot dead dozens of members of the mob," the official news agency Xinhua said. It did not give a precise breakdown of the casualties from the incident on Monday — the day before Muslims in China marked the Eid festival — and information in Xinjiang is often difficult to verify independently. Xinjiang's government web portal Tianshan on Wednesday described the violence as a "terror attack" that killed or wounded "several tens" of Uighur and Han. Citing local Uighur sources, Dilxat Raxit, a spokesman for the World Uyghur Congress, an exile group, said in an e-mail: "Nearly 100 people were killed and wounded during the clash." 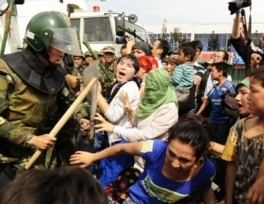 The violence came, he added, when "Uighurs rose up to resist China's extreme ruling policy and were met with armed repression resulting in dead and injured on both sides". Raxit had earlier said more than 20 Uighurs were killed and 10 wounded, while a total of 13 armed Chinese personnel died or were injured and about 67 people were arrested.